The past 2 weeks I’ve been taking advantage of school holidays (i.e. no SRE to teach) to give myself a little reading time each day. I’ve been working my way through Don Caron’s Love in Hard Places which is excellent, but a tough read. So today I decided to take it easy and start Vaughan Roberts’ True Friendship instead. What a great book! Which I can say because I finished the whole thing in about an hour. Friendship is such an important topic. Despite the multitude of social media that supposedly keeps us connected, one of the biggest needs we have is for true, deep friendships. Crucial, Close, Constant, Candid, Careful & Christ-centred. The book starts by reminding us that the Bible is a story of friendship. A friendship between God and man, ruined by sin & restored by God himself. The gospel is a message not only of restored friendship with God, but also restored relationships with others. We are called into a new community. Roberts’ quotes a colleague of his who once said of her friends “For those of us who are single, our friends are our lifeline”. I love this. It’s so true for me. And yet as I read this book I realise how easy it is to forget how important friendships are, and therefore how important it is to put in the effort required to do friendship well. Chapter 2 reminds us of what we should already know – there’s a big difference between being Facebook friends with someone and actually being friends with someone. There’s also a difference between friendship and marriage – though marriage should be more than friendship, it should not be less. The Bible certainly has a very high view of marriage, but it is not designed to bear the weight that is placed on it when a husband and wife expect all their relational needs to be met by one another. The result is that they not only put impossible burdens on each other, but also give insufficient attention to other friendships. Single people suffer from the same delusion, too often believing the lie that they are bound to experience miserable isolates live unless they can find a spouse. In their commendable desire to protect marriage and the family from contemporary challenge, churches can unwittingly become part of the problem by giving the impression that romantic olive is an essential ingredient to human flourishing. Something that really stands out to me is the need for friendships to be candid. I hate criticism. Yet I recognise they need for it and that, when it comes from a friend, it is motivated by love. As Oscar Wilde says ‘a true friend stabs you in the front’. Above all, what we need from out friends is the application of the gospel in our lives. The ministry of God’s word is not limited to those with public responsibility for preaching and teaching out churches, but is shared by all of us. We are to teach and admonish one another with all wisdom’ (Colossians 3:16). As we seek to be helpful to out friends, we need to ask how we can bring the gospel to bear on their lives. 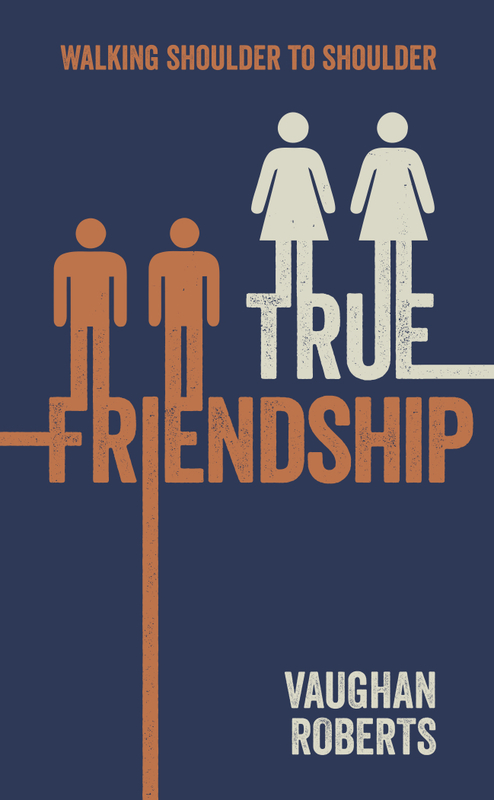 [Jesus] is the perfect friend who enable us to be true friends ourselves. At the end of each chapter Roberts has helpfully includes some questions for reflection & discussion that are worth taking some time to prayerfully work through. It’s a great book and definitely worth the short amount to time it takes to read. You can buy it here or as an ebook here. This entry was posted in Jesus, life and tagged book review, friendship, Jesus, Vaughan Roberts by katierae. Bookmark the permalink.